The euro has reached 1.1725 against the dollar, while the pair is trading near its highs in a very tight range. 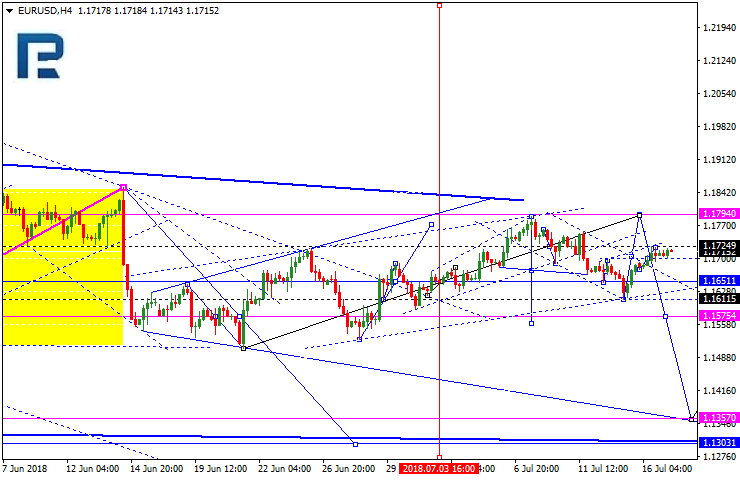 The price rising to 1.1794 is still possible, but this can be considered just as the correction continuation. 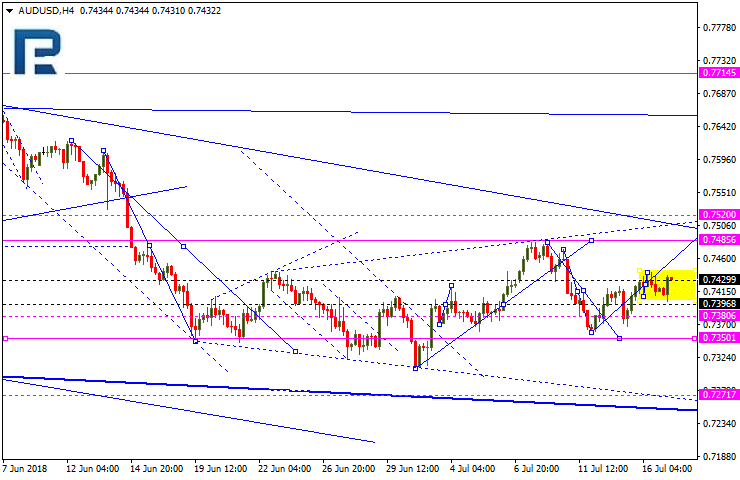 The major scenario is still a downtrend with the target at 1.1575, which is just a half of the whole falling potential. The pound has reached 1.3265 against the dollar, the pair being traded in a consolidation range near this high. 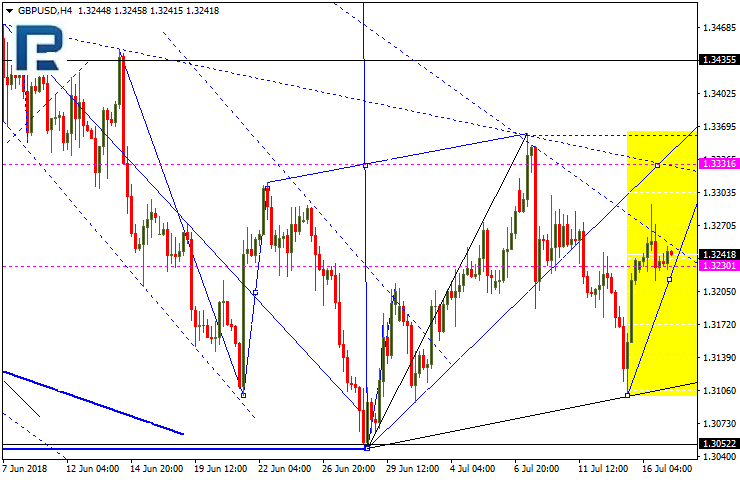 The price rising to 1.3333 is still possible, but this can be considered just as correction. The major scenario is the price falling to 1.3000. The pair has reached its correction target after rising, and may now head down to 0.9916, while the most likely scenario is the ascending trend continuation, with the price reaching 1.0066, and then, once it gets broken out, going further to 1.0200. 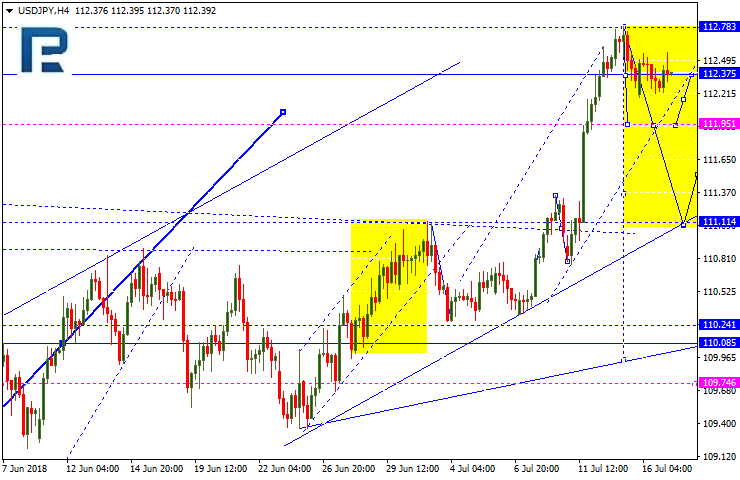 The USDJPY is consolidating around 112.37. 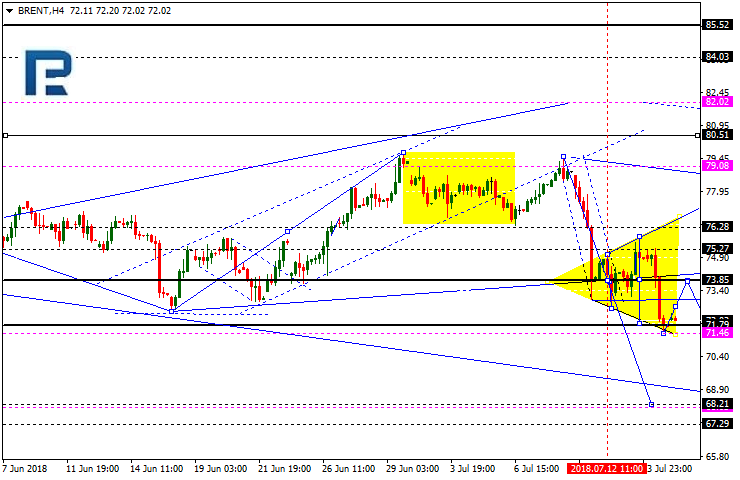 The major scenario is the price falling to 111.95, as a part of a downtrend heading to 111.11. This is the first target. The Aussie is still consolidating around 0.7430 against the greenback, and while the rise to 0.7485 is still possible, it may be considered only as the correction continuation. 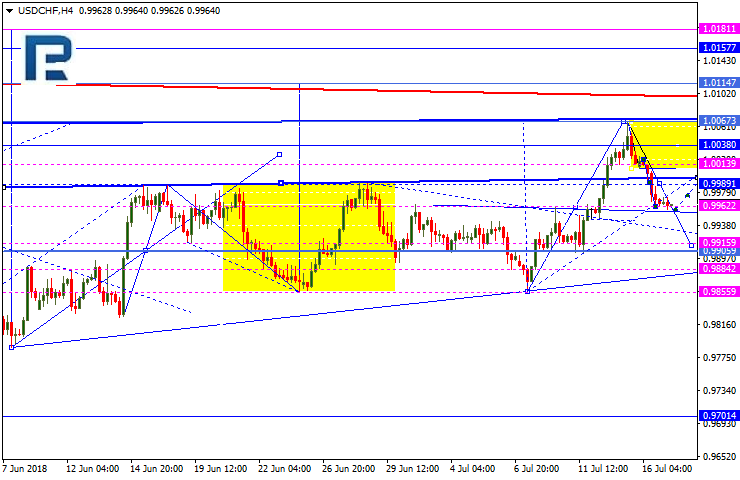 The major scenario is the price falling to 0.7285. This is a strategic target. The Russian ruble is still consolidating around 62.00; today, 62.62 may be reached, which may be followed by the pair falling to 61.61, and then reaching 60.60. This is a local target. 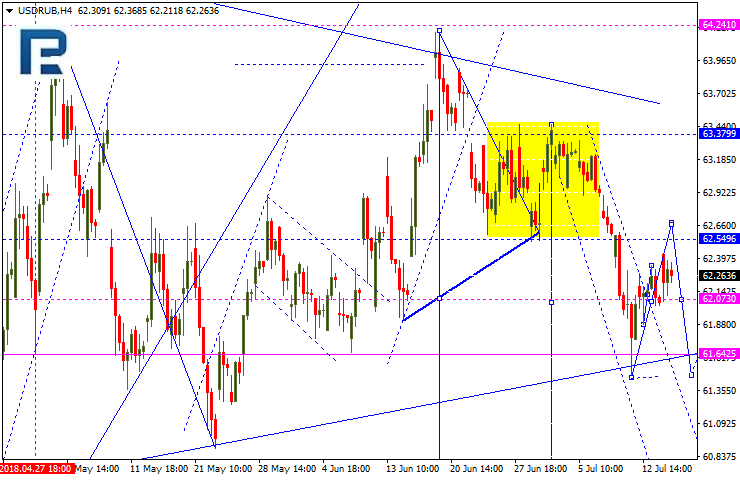 The gold is trading around its lows within a consolidation range. 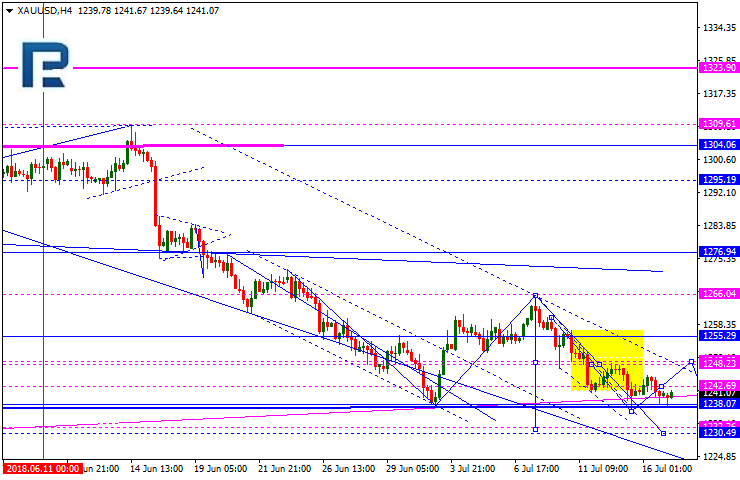 The yellow metal may go ahead to reach $1,249, and then fall back to the lower range boundary. Once the range is broken out top down, $1,233 may be reached; conversely, the price may go up towards $1,270. Brent crude is under pressure and is going down. The correction continuation is possible, but there's a diverging triangle forming, showing a signal for the downtrend continuation after reaching $73.85. The local target is at $68.22.